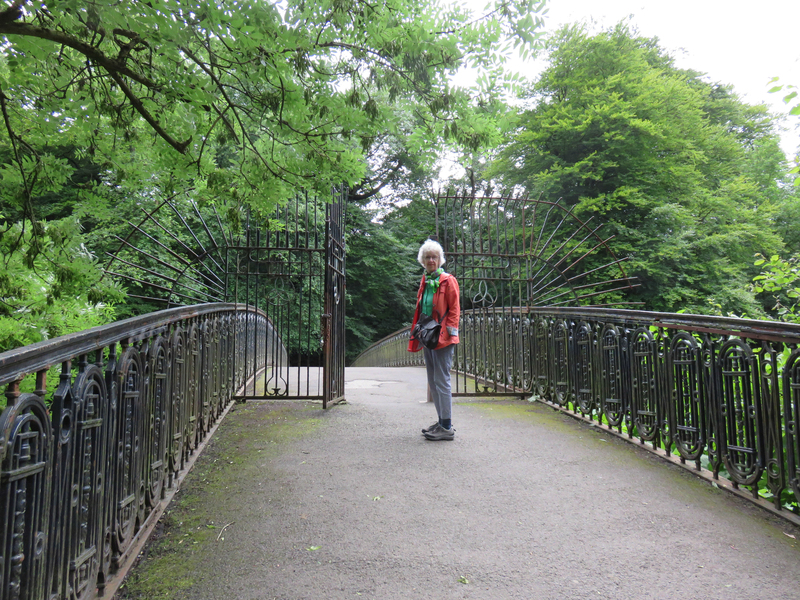 My wife and I set off onthe kelvin walk on Saturday. The weater was not promising but we decided to chance it anyway. 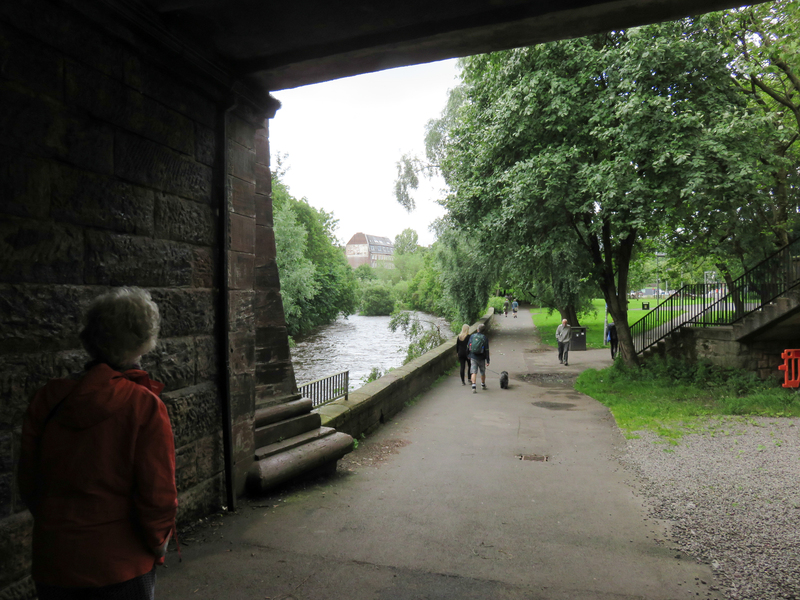 We decided to park down by the Kelvin at the side of the Kelvin Hall and walked over to our starting point on the old Partick bridge. This is the second time we have taken this walk and decided not to stick by the river on the way through the park. We took the top path to get a flavour of the history of the place. 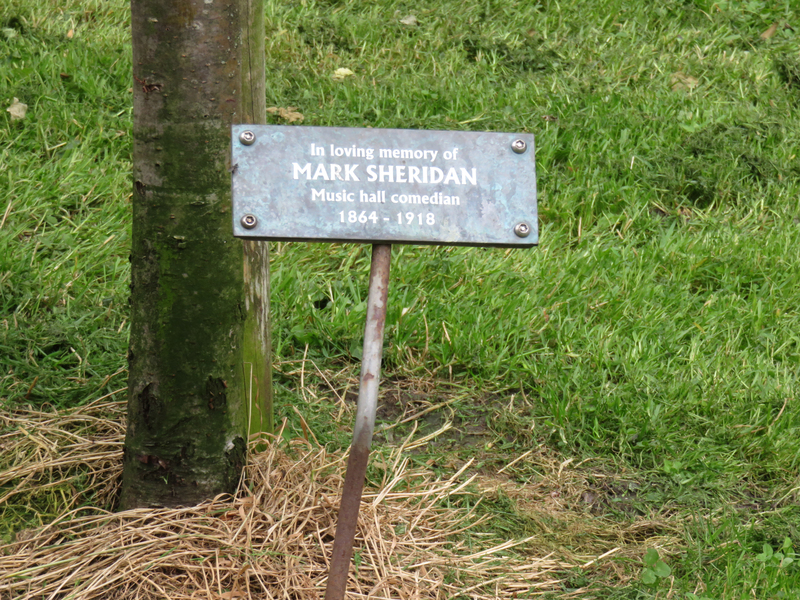 I noticed some memorials had been placed, some on benches and some on trees. Some record long forgotten Glasgow characters. From the days of music hall? 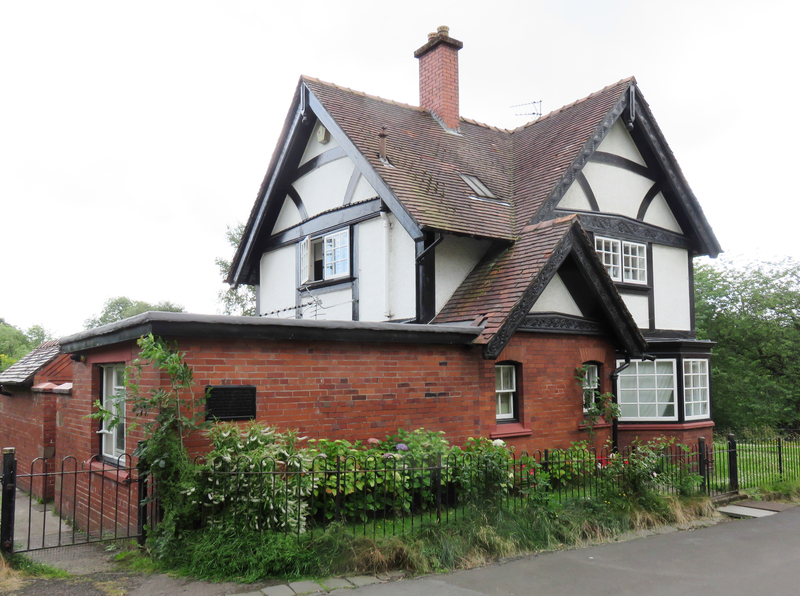 Heading along the path we came across Glasgow’s own copy of the Port Sunlight worker’s cottages. This seems a bit out of place or is it just an unexpected treasure? I’m still not sure of the significance. 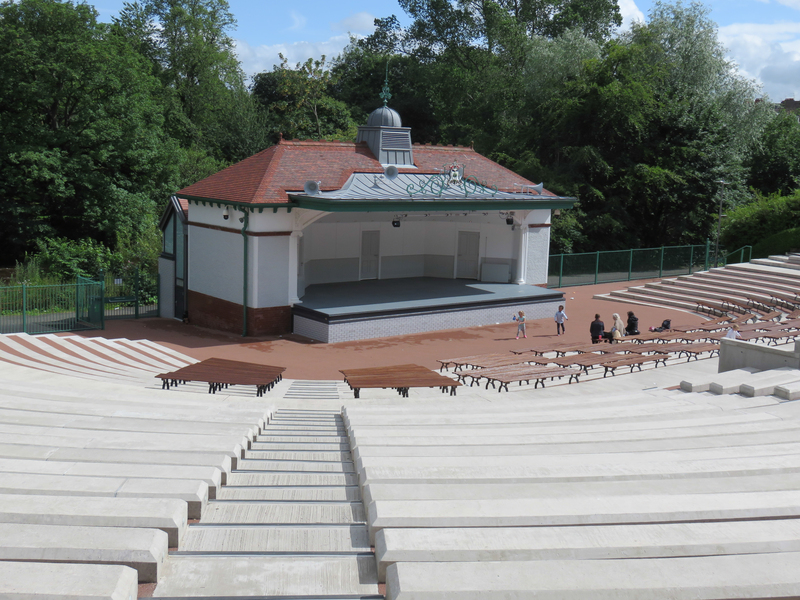 Coming out of the park we visited the now refurbished Bandstand. It looks really good now. It should be a venue for all sorts of events – if the weather permits. That’s not guaranteed this summer, I’m afraid. A walk throught the other side of the park (The Kelvin Way divides the park here) reveals a place of relaxation for all sorts of people. Families out for a stroll and an attempt to tire out the children, teenagers having a kickabout with a ball and cyclists finding a safe route through the city. Passing under the bridge that takes Woodlands Road over the river we find ourselves in a less frequented park that follows the river up to Great Western Road at Kelvinbridge. The artwork on the bare walls gives the space an out of city atmosphere. This space has a play park and a Park and Ride facility for the subway station. At the other end we come to the magnificent bridge that takes Great Western Road over the river. There is even a pub where you can stop for food and refreshment. A watering place by the water. 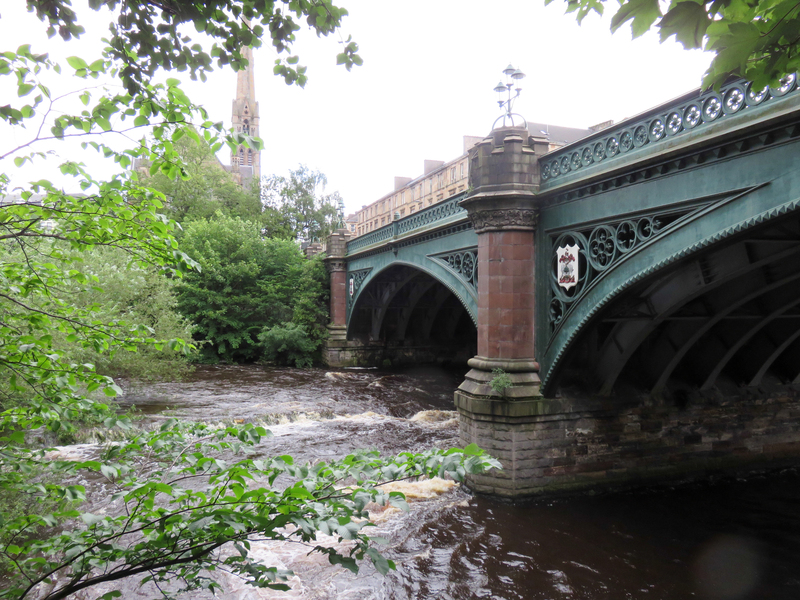 Once through the bridge we get a good look at the torrent of water that is flowing in the kelvin today. The heavy rains of the last few weeks have changed the character of this normally placid stretch. The next stretch is quieter but still has walkers and cyclists regularly passing. 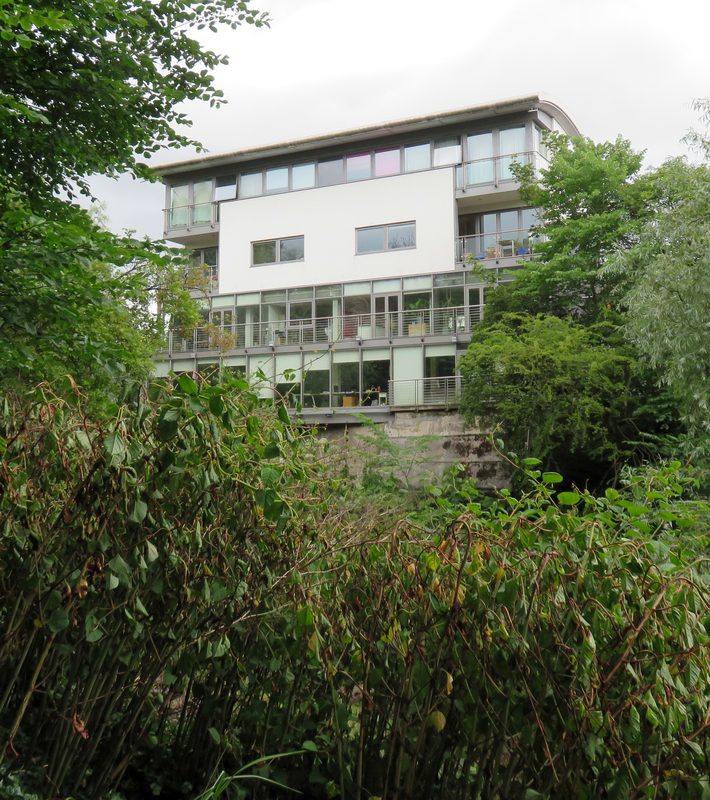 On the opposite bank we see a well designed building which seems to incorporate an office and living quarters. The building ins nicely set into the bank and gives a beautiful, peaceful outlook. I’m not sure how you would get much work done looking out over the river. 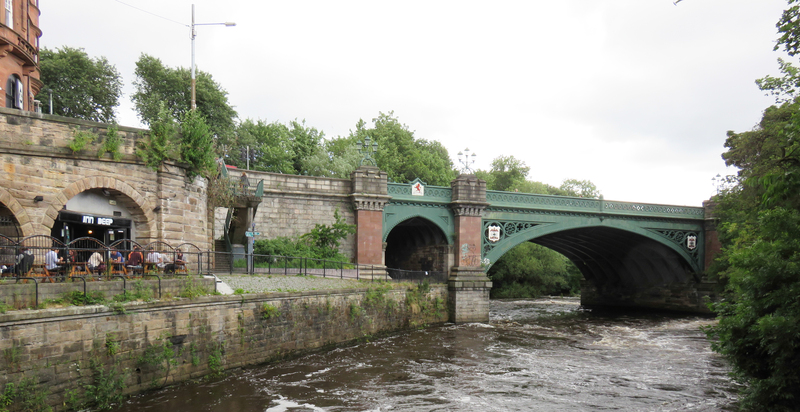 Walking on we pass under the beautiful arch of the bridge carrying Belmont street over the river. From street level you get no idea of the beautiful arches that support the road. From the waterside the view is more spectacular. We move on and cross the river to find the old flint mill. 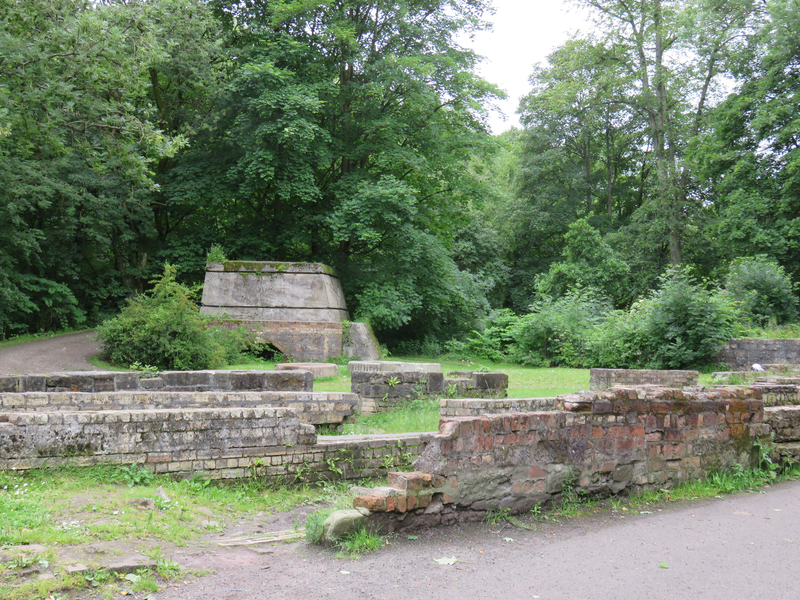 There is only a ruin left but the mill race still flows, showing how the slight drop in water level produced power. I would never have imagined that this quiet place was once a hive of industry. 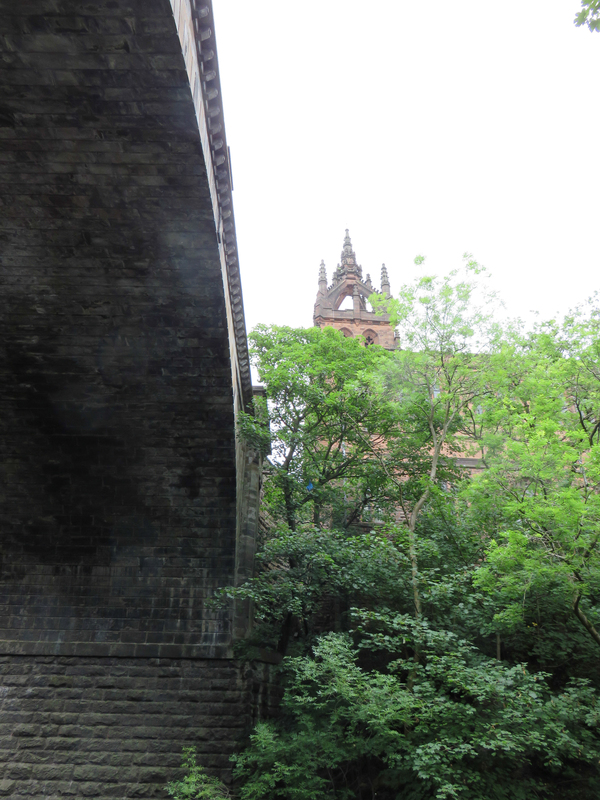 Soon we are heading up to the bridge at Queen Margaret Drive where once the BBC broadcast to the nation. we pass under anothe beautivul arch and come to the iron bridge that takes us out of the River Walk and escape to the Botanic Gardens. This is enough for one afternoon. The Botanics becons and just beyond lies Byres Road and all the wee shops. Perhaps we can get a bite toeat there. The walking has made me hungry. I’m determined to do the next leg of the journey soon. I’ll post the results as soon as I do. 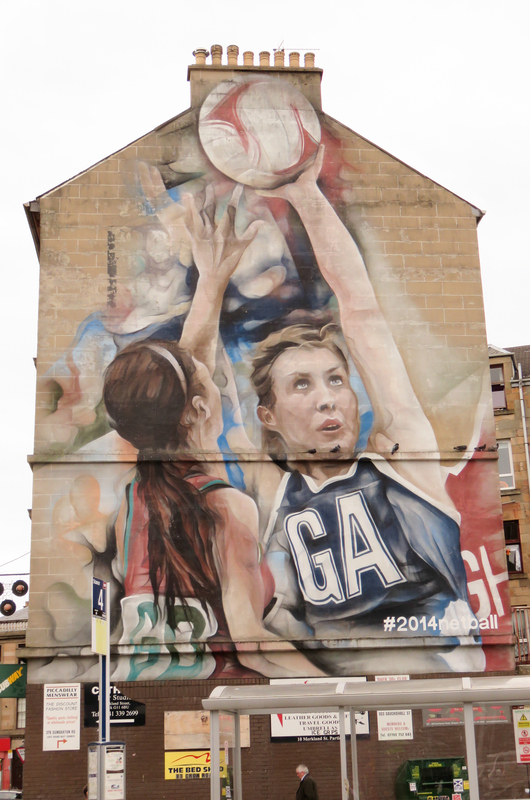 Well, the Commonwealth Games are underway and Glasgow is pulsating with games fever. The city has pulled out all the stops to make this a great experience for the athletes and all the visitors who have come to join in. Roads have been closed off, facilities taken over and peole are working all hours in the heat. Yes – the heat! Who would have imagined that Glasgow would stay dry, never mind sunny during the annual Fair Holiday? The weather has surpassed anything we can remember for this time of year. 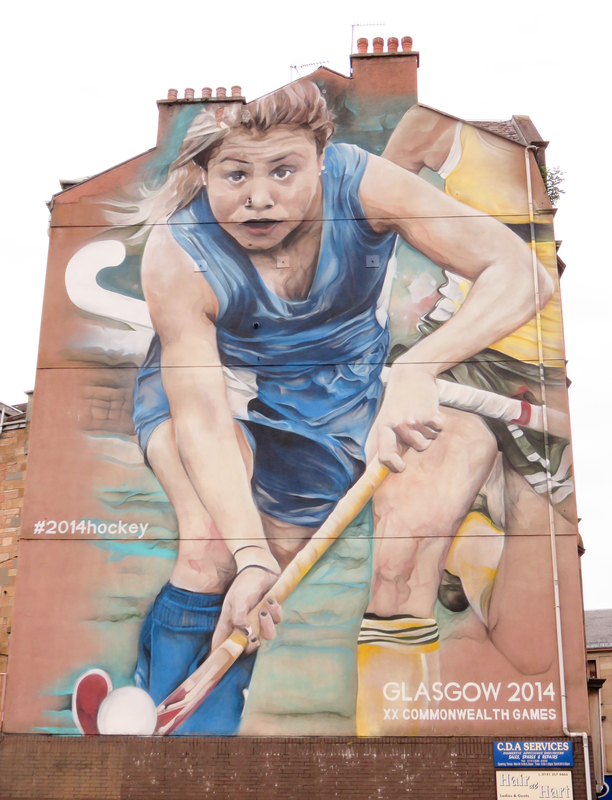 The whole city is getting in on the act – even the old buildings. Even the non-sporty types (like me) are enjoying the fun. It’s great to walk around the city with voices in various languages coming from all sides. At last we have no need to apologise to visitors for bad weather spoiling their visit. Glasgow is truly continental. This has been a wonderful experience for us and even although we know the weather can’t possibly last, we feel that Glasgow has lived up to all it promised – and more. A gable end but not the end. Thank you to all the workers who have prepared the city for the games and thanks to all the visitors – you are most welcome. “Gallowglass” is the fourth Douglas Brodie novel from Gordon Ferris. I confess I couldn’t wait to read it. I have enjoyed all the Gordon Ferris books so far and this one did not let him down. It’s not every book that starts at the funeral of the hero. This one does and it left me with a feeling of regret. I’ve grown to like Brodie and the though of no more adventures left a gap. However the action in this story made up for that. I love Ferris’ use of the post war Scottish landscape as the background to the stories. Those of us who came into the world in a post war Glasgow can relate to his locations. I don’t think these stories would work in any other place. The book is fast paced and is literally a page turner – thought I read it on Kindle which is not quite the same as flipping paper over. The characters are believable and some, loveable. You will never regret starting this book and might share my sense of loss when it is finished. I was recently watching this BBC Scotland program hosted by David Hayman. The episode I had recorded was ‘The Robert E Lee’. 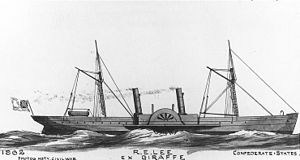 This episode centres on the Clyde built paddle steamer Giraffe which was sold to the Confederacy and renamed the Robert E Lee and became one of the fastest blockade runners of the war. I found this particularly interesting because I had just completed a course on the American Civil War at Strathclyde University, delivered by Robert Lynch. In the course I had learned about the importance of cotton to the Confederate states. Cotton provided the link with Scotland and soon some of my fellow students unearthed links between Glasgow and the Confederacy. These included evidence of Jefferson Davis having visited Glasgow to stay with some industrialists and collaborators after his release from prison. This is expanded on in the programme which also shows evidence of a Confederate spy network working from Bridge of Allan. This program highlighted the role of Glasgow’s Shipbuilders and the blockade runners. It filled in lots of interesting details of the activities of the blockade runners and the Scots who made fortunes from the war. It gives us a fresh look at the role Scotland played in supporting the slave owning Confederacy and is particularly interesting at this time. Scotland is about to go to the polls to vote on independence. The Yes camp has made much of the UK’s imperial past and their desire to dissociate Scotland from it. Is this moral stance justified? Taking this closer look at Scotland’s history of support for a slave system and the fortunes made in extending the slaughter of the Civil War should encourage us to examine the myth of our historical innocence. I believe it is important for the future of Scotland to expose the truth about ourselves and our past. We are not a people who lived under the yoke of imperialism but we were instrumental in promoting it and made fortunes out of our fellow man. When we walk into the polling booth this autumn let’s make our decision based on facts and not myth. There has been much said about the current housing crisis in the UK. We are not building enough houses for the people who need a place to live. I know it is difficult to find a decent house and even more difficult to find one at an affordable price. I was amazed to read about the flat in London that sold for £140,000,000 last week. Ah, London, how absurd I thought. 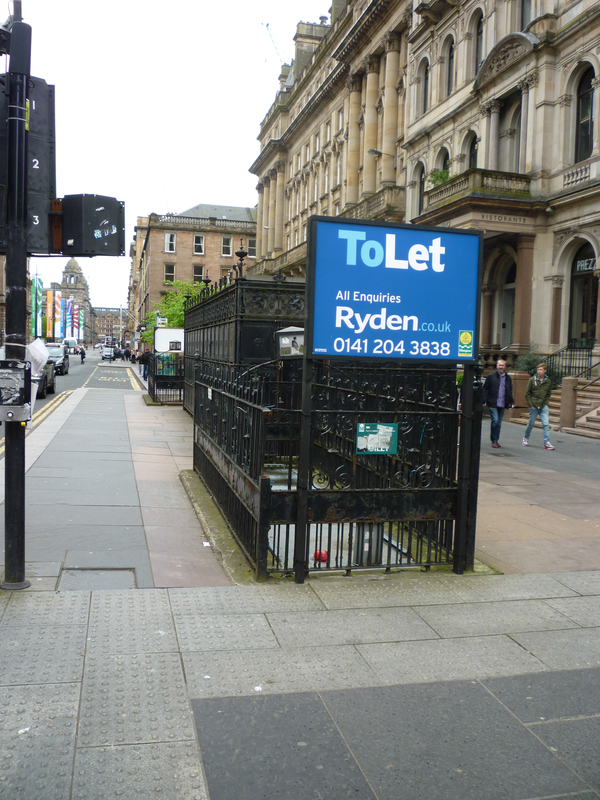 Today as I was returning to the car park in Glasgow I spotted a property for rent. As you can see from the picture it is a little down. It is, in fact, underground. It is a disused gentleman’s urinal and toilet. I had noticed that this public convenience was closed some time ago. I wondered why. Is there a glut of public conveniences in Glasgow? Have they been crowding the betting shops out of the main thoroughfares? Now the place is up to let (although it is down in the ground). Who is going to rent an old toilet? It is convenient (pardon the pun) for all amenities, shops, stations, churches and pubs.Do we really expect someone to go down and live there? I’ve heard of people living in the gutter but this is lower even than that. No doubt the estate agents will point out the amenities like running water, plumbing and no long stairway to climb up at the end of a long, tiring day. You could literally fall into it. Perhaps it could be converted into a Bijoux betting shop or theme pub? Where more appropriate for P###ing away your hard earned cash? The Missing – Who Were They? I was working today. 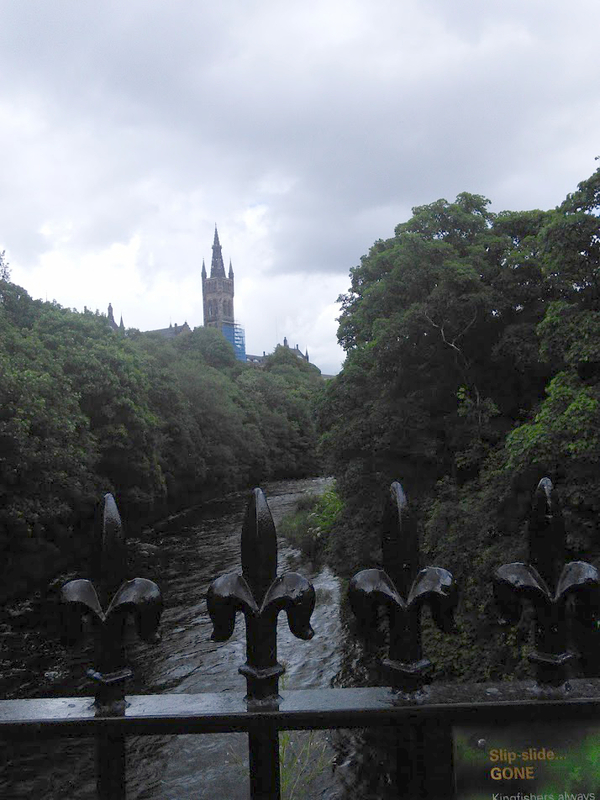 I had a class at Glasgow University in the morning and another in the afternoon. It’s a hard life! I had a two hour break in between and had a wander out to look at the buildings in one of the drier spells (less wet to be more accurate). Looking at the south face of the old buildings I noticed something strange. Do you see what I can’t see? I noticed that there were spaces for statues. You can see the places where they should be on either side of the main window here. There are about two dozen spaces on the south face of the building and more in the quadrangles inside. There are no statues. I wondered which statues were supposed to be there. If it was a cathedral then I would expect saints, but a university? 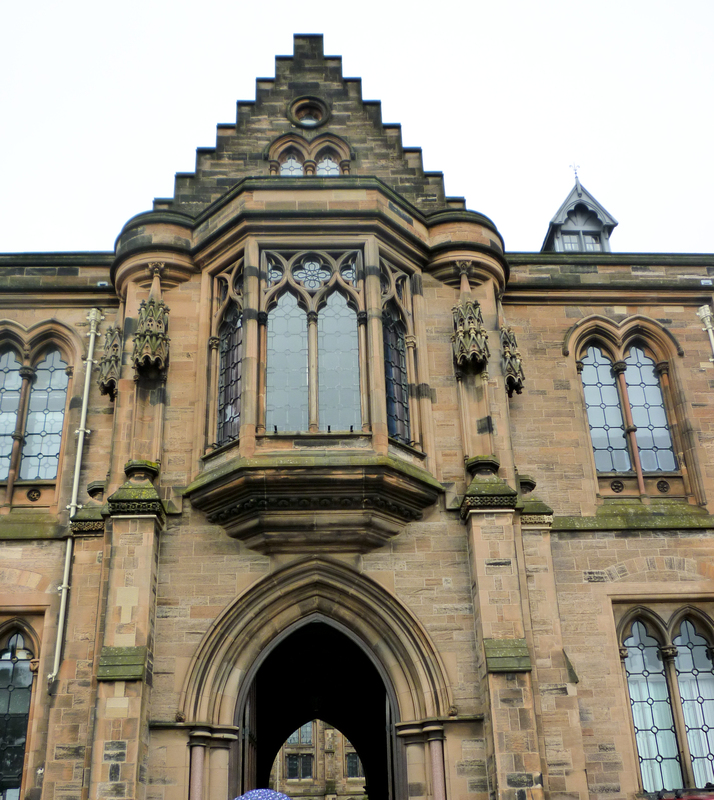 Glasgow University was founded by a Papal Bull so there are religious connections but these buildings are definitely post reformation so – Saints? – probably not! Was it intended to have statues of scholars or great Scottish heroes? Who were these missing celebrities? Why were they never put in place? It cretainly looks as though there were never any statues in place. The Liberal Democrats are having their conference in Glasgow today. As I type this Nick Clegg is speaking to the collective body. It is being broadcast on television. This has been spun as the preparation for the 2015 election. Why Bother? This conference boasts as the only really democratic conference in British politics. Policy is voted on and decided here. Why bother? Before the last election the Liberal Democrats voted on and decided poilicy. After the election this was mostly abandoned in Nick Clegg’s dash for power – well a wee slice of power. In the end he only managed to make possible a minority Tory government that could inflict severe damage on the poor and working people of this country while boosting the fortunes of the rich and powerful. 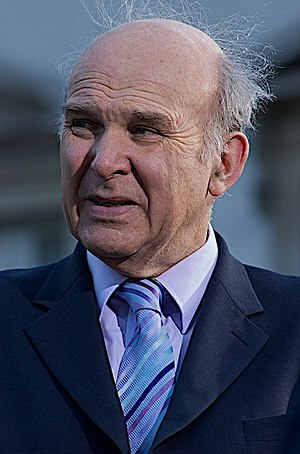 He backs the Tory policies on the economy, disagreeing with his business minister Vince Cable who has some track record of being right about these things. He wants to put forward a picture of success of which he is part. Why vote Liberal Democrat at all? Why vote for a party that will decide which of the other parties to side with? It’ like having a ballot paper that says ‘Tory or ‘Labour’ or ‘Just you decide for me’. 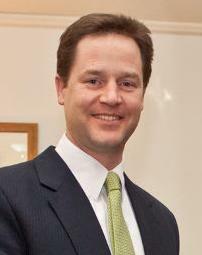 Give Nick Clegg your vote to do with what he will. Of course Nick fails to realise that we have seen through the scam. They will decide policy in Glasgow and go away and put it in the bin in Westminster. We can not believe anything they say. The party is, in fact, dead. Nick left a suicide note behind when he signed up with theTories. This is, of course, all just my opinion, but I am not alone. Even members of his party seem to agree with me. They also feel betrayed by Nick. They would desperately like to change, but it is too late. Their party was stabbed through the heart, bled away its policies and died. I think the funeral will be announced sometime in 2015. I wonder if anybody will bother to attend? So, have a great conference. Enjoy your visit to Glasgow, then go off and find something worthwhile to do, knitting, macrame, train spotting. Forget politics – it has forgotten you. I had a class to take yesterday (Thursday 4th) and it was such a beautiful morning I decided to take my camcorder and record my stroll through the park. I get the train to Charing Cross (Glasgow) and walk through Kelvingrove park to the university. It is so pleasant I felt I had to share it. I held the camera in my hand as I strolled through and, of course, the video is bumpy as I walk. I used the YouTube skake corrector which steadies the picture. I didn’t realise the side effect. As I pass near to stationary objects they seem to be alive, bouncing like objects in a Pixar cartoon. I kept it like that because I think it’s funny and adds something to my walk. Have a look and see what you think. I’d be interested to know. Glasgow is really a beautiful city. I love the old buildings and the open spaces. It has a sense of history for me and I know many visitors enjoy the same feeling as they walk around. Enjoy your mornings. Enjoy today.